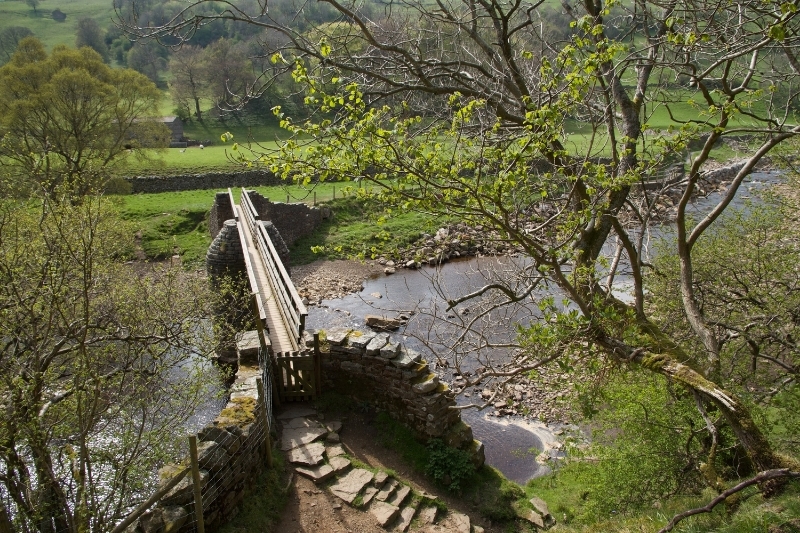 There are lots of walks round Keld and nearby, to suit all ages, weathers and abilities. Many people pass through Keld as a waypoint on one of three long-distance walks that pass through the village: the Pennine Way, the Coast to Coast walk or the more-recently devised Herriot Way. If cycling is your thing, then try out the new Swale Trail - a 20km route for mountain bikes between Reeth and Keld. It's a great way to experience Upper Swaledale and test your off-road cycling skills. Bring your own bikes, or you can hire them from the Dales Bike Centre in Reeth. Or if you'd rather explore more gently, we have a selection of walks for you to enjoy for a few hours. You can join one of our guided walks during the summer season, or try one from the list below! Three takes on the classic Keld to Muker walk. Cross the river at Rampsholme Bridge. Do not take the path signed Muker, but follow the sign to Keld till you reach a barn. For options 2 & 3 double back at the barn and follow a well marked track slanting gently up-hill. Where it meets the tarmac drive to Kisdon Farm turn right and follow the drive steeply uphill. More climbing, but well worth it for the views! For Option 3 ignore the Pennine Way signs but climb steeply beside a wall. As you reach the (comparatively) flat top of Kisdon, look for a well marked track and follow it in a northerly direction. Beyond the top of the wall it turns left and continues across the top of the fell. The view forward takes in Mallerstang Edge. To the left, look across to Great Shunner Fell. Follow the track as it drops down towards Keld. At the B6270 turn right to return to Keld. This is just a selection. We are adding to them all the time. Keep coming back to see what is new.